It's not too late to donate...!! To donate click here. 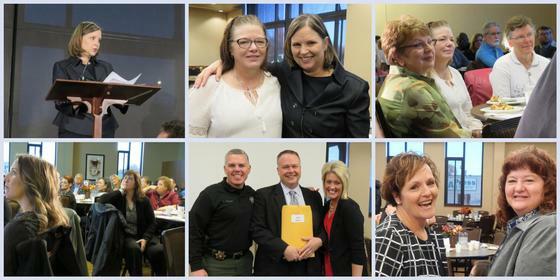 A capacity crowd of more than 200 people attended the 9th annual Giving People a Second Chance community breakfast on October 27. This year’s focus on mental health provided insights into the complexities and realities of mental health. Videos can be found on the website. More than $17,000 was raised to assist clients with identification, education, and employment needs. 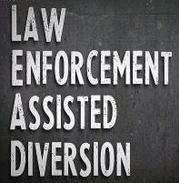 Marion County secured an $83,103 health transformation grant from Willamette Valley Community Health to launch Law Enforcement Assisted Diversion, or LEAD. Developed in Seattle, LEAD combines law enforcement, health care, and social services for people with multiple arrests, primarily for drug possession and other minor “livability,” but not “victim-related,” crimes. People benefitting from LEAD typically exhibit high-risk, addiction-based behaviors and have multiple needs, such as homelessness, unemployment, substance abuse, and mental health issues. LEAD’s target population is unlikely to engage in treatment services without intense intervention. As a “harm reduction model,” LEAD literally meets clients “where they are” and wraps services around them. As developed locally, LEAD will focus on the top 100 utilizers of jail and emergency room services, focusing on people in downtown Salem and along the Lancaster Drive corridor in East Salem. For more information, contact Paige Clarkson at pclarkson@co.marion.or.us. Chemeketa Community College announced that it is on the Aspen’s Institute’s list of 150 colleges eligible for the Aspen Prize. Chemeketa is the sole community college from Oregon in consideration for this prize. Every two years, the Aspen Institute evaluates nearly 1,000 community colleges in the U.S. to recognize high performing institutions. The Aspen Prize is the nation’s signature indicator of community college achievement. To do its assessment, the Aspen Institute convenes a panel of education experts and uses nationally available data on institutional performance, improvement and equity in student retention and completion. “We appreciate the recognition given our effective work in student success,” said Chemeketa president Julie Huckestein. Chemeketa plans to accept the Aspen Institute’s invitation to apply for the prize. The college will provide additional data on completion, labor market outcomes, and learning assessment, as well as describing how Chemeketa has achieved and improved student outcomes. The Aspen Prize selection committee will select ten finalists for site visits and further review. The finalist awarded the Aspen Prize will receive $1 million. The Aspen Institute’s College Excellence Program works to improve colleges’ understanding and capacity to teach and graduate students—especially the growing population of low-income and minority students on American campuses. 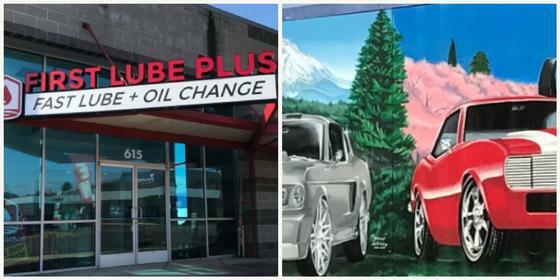 FIRST LUBE PLUS was created by Salem First Baptist Church to serve the community with businesses that create opportunities for job training and mentoring for work and life skills. FIRST LUBE PLUS partners with various public and private agencies to identify people who can be best served by this program. Read more about their story. Are you hiring for a full-time, permanent position or advancing one of your employees? Are you finding it difficult to find that perfect combination of skills and experience? You may benefit from the On-the-Job Training program through WorkSource Oregon. The business is reimbursed 50% of a trainee’s wages during the training period up to $3,000. Reimbursement is compensation to the business for the extraordinary costs associated with training participants and the lower productivity of the participant during the training period. OJTs can be provided for new employees referred by the Workforce Innovation and Opportunity Act program to the business, or by the business to the program. Training that is provided under the OJT must be separate and different from “training and orientation” that the employer routinely provides to new employees. All trainees must be treated in the same manner as non-trainee employees. OJT training plans are specific to the trainee. A trainee must register at an Oregon WorkSource Center for workforce services. This can be completed online from any computer with Internet access. The trainee must take the National Career Readiness Certificate. The trainee’s current wage must be at least $10.75 an hour and not more than $21.75. The business must employ the trainee for a minimum of 32 hours a week. Generally, the training period is no shorter than six weeks and no longer than 26 weeks, and will vary depending on the abilities of the trainee, and the skills to be learned. For 3,400 people on post-prison supervision and probation, Marion County will receive $3,754,893 in Justice Reinvestment Initiative funds from the Oregon Criminal Justice Commission to support proven strategies that give non-violent property and drug offenders the tools to succeed. Justice reinvestment has two primary goals: (1) To prevent those who have served a prison sentence from re-offending and going back to prison, and (2)To divert non-violent drug and property criminals from prison through community-based services and local accountability. Read more about Justice Reinvestment. Catherine Trottman, a local attorney, has a passion to help and make a difference in her community. Upon learning of the Marion County Reentry Initiative, Catherine began imagining ways she could help build on local efforts. Over the last year, Catherine has explored options and is excited to launch the new Inspire program. This program will weave together local talent, provide a safe and supportive learning environment, and encourage clients to learn about new skills and interests that will assist them in their successful reentry into the community. If you would like to volunteer contact Catherine at catherinetrottman@gmail.com. 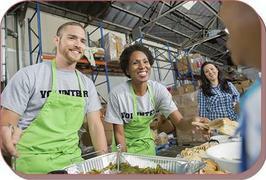 WHAT: Volunteering options and navigating services with a criminal background. WHO: Community members who are on probation, parole or post-prison supervision and Volunteers. WHY: Would you like to give back to your community? How about having fun while gaining valuable experience? Do you need help in navigating available services? Then this Inspire Workshop is for you! Register: Contact Catherine Trottman at catherinetrottman@gmail.com. 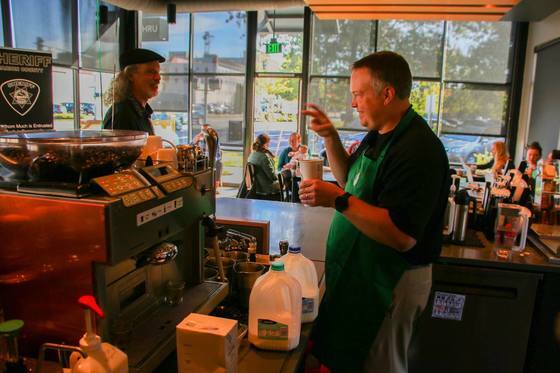 Parole & Probation Commander Jeff Wood serves coffee at the Church Street Starbucks in Salem as part of National Coffee with a Cop Day on October 4, 2017.